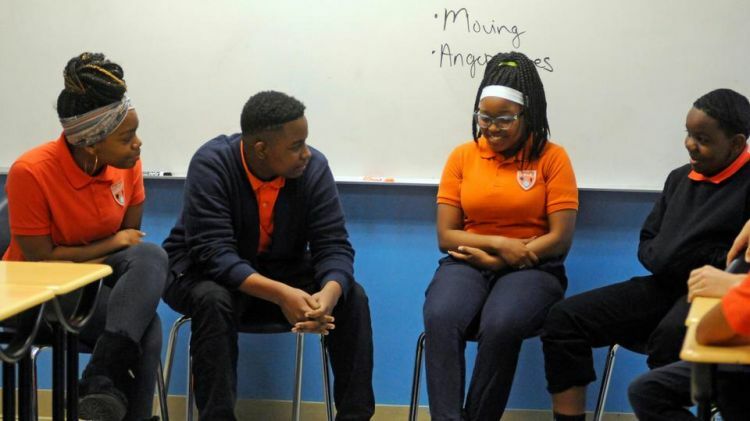 Ninth-graders at the Uplift Hampton Preparatory school in US's Dallas learn about mental health using different techniques to spot depression and anxiety. UT Southwestern researcher Marshall Motsenbocker, who led the program's five 45-minute sessions at Uplift Hampton, said role-playing helps teens talk through difficult issues. When the two girls finished their recent scene, he asked the class what signs of depression they recognised and what might be causing it. He said teens are sometimes too quick to act, and these discussions help them pause to think about what might have motivated someone to behave a certain way. Interest in the program has increased since then, with some schools in Sweden, Australia, India, England and the US now offering it, said Camilla Wasserman, a Karolinska Institute researcher and one of the program's creators. She said one of its strengths is that it encourages discussion. Dr Madhukar Trivedi, who oversees the program and conducts research on depression at the university, said assessments of students before and after completing the program shows they improve their knowledge of what to do when someone needs help and that their own symptoms of depression and anxiety decrease. "Our counsellors have reported that they see a lot more students who come in concerned about their own health or someone else as a result of this program," said Jana Hancock, director of guidance and family education services for the Plano Independent School District. She noted that the program is designed for everyone — not just those who might be experiencing issues.